Did you wake up this morning all ready to go to work and your car won't start? Or maybe you got it to start, then it died on you halfway to your job. These are common and very frustrating things that can happen to any of us! The key is to have a reliable company to call when you need them most. We also do tune ups and oil changes! If you are stuck on the side of the road and need towing prior to your repairs, we are available 24 hours a day, 7 days a week, for your convenience! 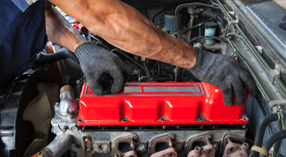 We work on all major truck models and will do our best to get you back on the road safely and quickly. 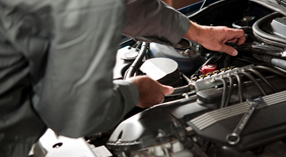 We will walk you through the steps of what is going on with your vehicle and find the best solution for you. We are an honest company that will always help you to figure out your current warranty for your truck prior to towing and or fixing it ourselves. If you do not have a warranty with your current car manufacturer, we would be happy to assist you with any of your trucks problems!